Yonex Aerus 3 has a coloured rubber outsole and may not be welcome everywhere. 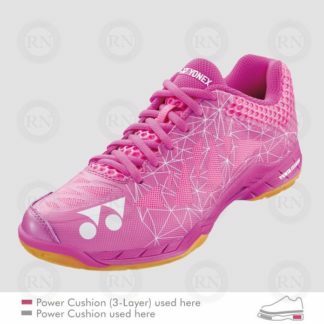 Sales of Yonex ™ new Power Cushion Aerus 3 have started strongly. Everybody seems to be interested in this shoe and everybody wants to try it. Before they rush in to buy this shoe, though, we thought it was important to let our customers know what they may be getting themselves into. The first thing people need to consider is durability. Those who remember the first iteration of this shoe — the Yonex Aerus — will remember what a disaster that shoe was for Yonex. 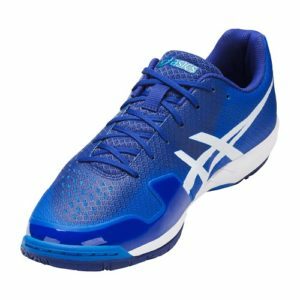 Billed as the lightest badminton shoe ever made, it quickly became obvious that the Aerus was not built for durability. Nor was it built for continuous adult use. 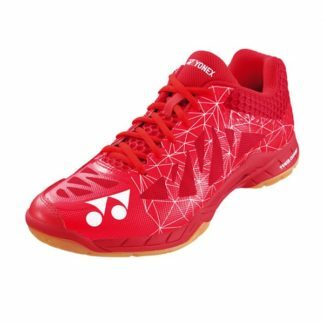 In fact, we processed more warranty requests for the Aerus than any Yonex shoe in the history of Racquet Network. The second thing people need to consider is fit. Once again, a previous version of the shoe — in this case, the Aerus 2 — provides a history lesson. 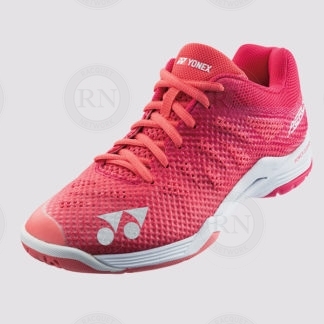 With a highly tapered toe, the Yonex Aerus 2 was certainly not built for everybody. In fact, in our store we found it fit less than one-third of our male customers. It seemed to fit players under 25 well enough, but the vast majority of players over 25 could not squeeze their feet into the Aerus’ narrow profile. The final thing that people need to consider before purchasing the Yonex Aerus 3 is whether or not they will be allowed to wear it in their badminton club. Here in Calgary, for example, two of our largest badminton clubs — Smash City and Sunridge Badminton Centre — are infamous for refusing to allow coloured rubber compounds on their courts. Specifically, both of these clubs traditionally prohibit black-soled shoes on their mats. 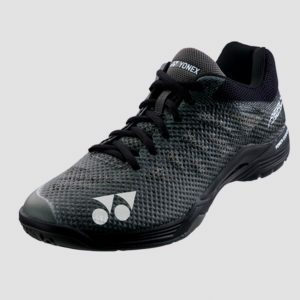 Some badminton clubs do not allow black-soled shoes. 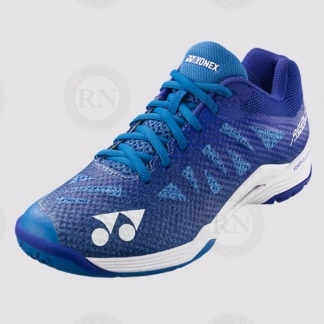 The problem for Aerus 3 fans is that, unlike the Aerus 3R which was not imported into Canada by Yonex Canada, the shoe that was imported into Canada has a coloured sole. 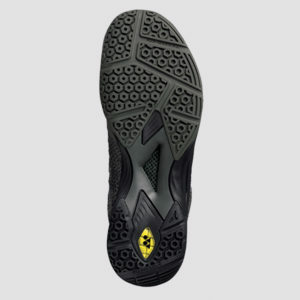 In fact, the black Aerus 3 has a black sole, which is banned in most badminton clubs using mats. So if you are thinking about purchasing this shoe, the first thing should do is find out if the place you play allows coloured, non-marking shoes on their courts. Otherwise, you may end up with a pair of shoes you can’t used. If you are sure you can use this shoe, the next thing you will want to consider is the fit. 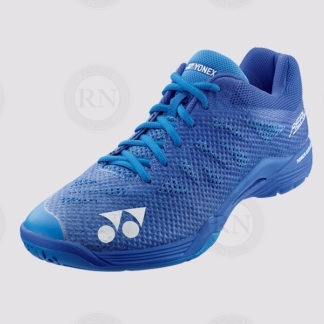 Yonex has certainly been improving in this area in recent years, but their standard width shoes — like the Aerus 3 — typically do not fit about one third of the players our experts serve in our store. Most importantly, Yonex shoes do not fit older players very well. So before buying this shoe, we strongly recommend coming in to try it on. Finally, there is the question of the Aerus 3’s durability. Will it be a durable shoe or will it be a disaster like the original Aerus? On the surface, Yonex Power Cushion Aerus 3 and Asics Gel-Blade 6 appear to be very similar. 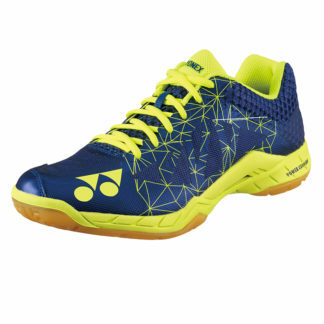 On the surface, Yonex Power Cushion Aerus 3 and Asics Gel-Blade 6 appear to be very similar shoes. 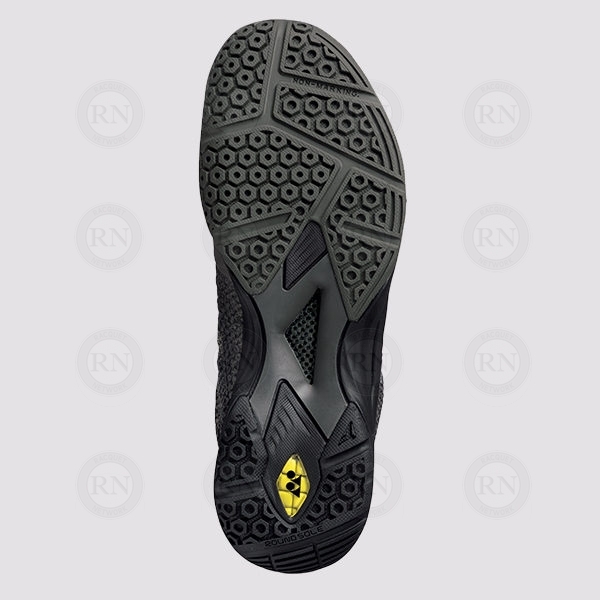 Both feature coloured rubber compounds on their out soles. Both feature lightweight, one piece uppers and both have some form of cushioning in the forefoot and heel. The only major difference appears to be on the inner aspect of the shoe where Asics ™ has added some extra material to protect against drag wear. For players who are using these shoes for badminton, this extra layer to protect against drag wear won’t make any difference to the shoe’s durability. 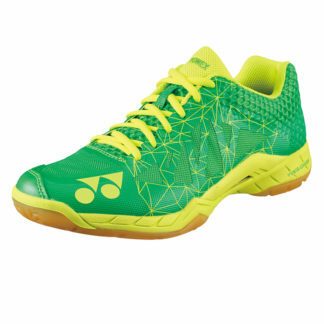 But for players who plan to use this shoe for squash or pickleball, this may be an issue that reduces durability. In other words, how you are planning to use this shoe may determine whether or not it is durable enough for your needs. Unfortunately, at this early point both shoes are still so new that there is no way to actually compare their durability. As always, we will know more about how well this shoe wears at the end of the season than the start of the season. In the meantime, we recommend that you come in and speak to one of our experts before make a decision. 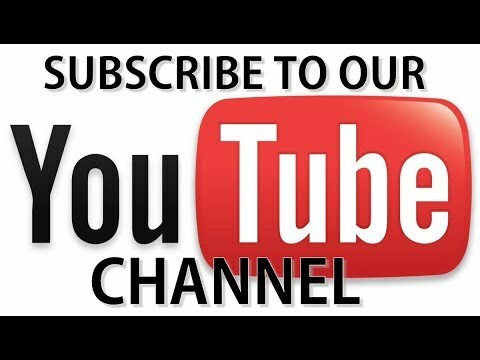 Once we know what and where you will be playing, we will be better able to advise you.